"I like their service very much!" 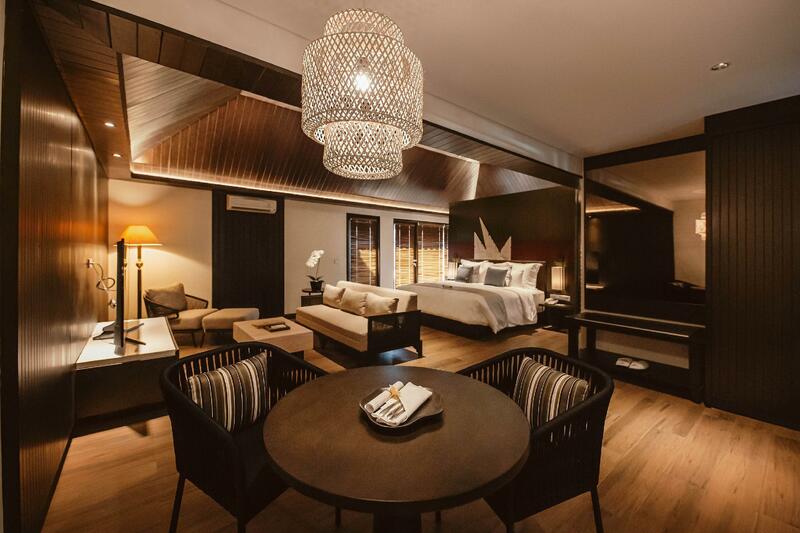 Have a question for The Vira Bali Boutique Hotel and Suite? "I LOVE THE PLACE, ENVIRONMENT VERY NICE THE STAFFS ARE VERY HELPFUL & VERY FRIENDLY I HAD A COMFORTABLE STAY HAS CONVENIENT AND EASY ACCESS TO OTHER PLACES"
"Aside from the welcome drink and snack, the hotel gives a 15-min free welcome neck and shoulder massage." "Aside from the complimentary breakfast, they also give complimentary High Tea." 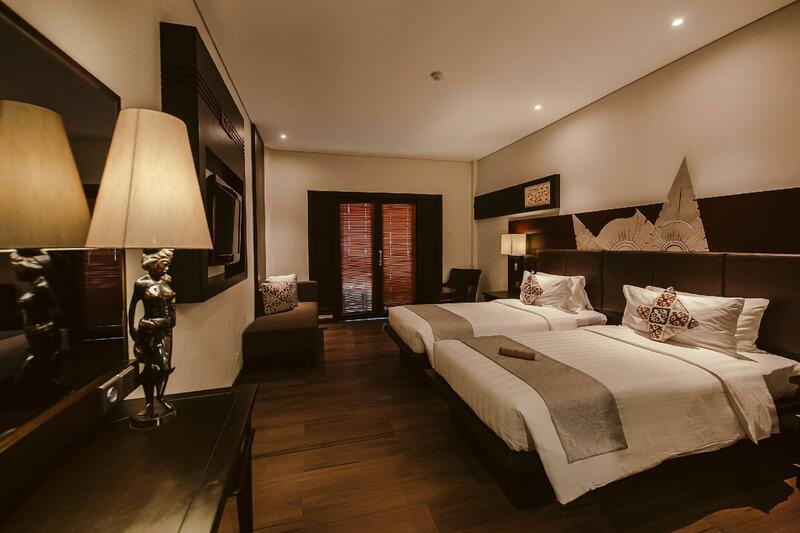 The Vira Bali Hotel is along lively Jalan Kartika Plaza, only 100 metres from South Kuta Beach. It offers an outdoor pool, as well as free airport transfers from Ngurah Rai International Airport, a 5-minute drive away. Free Wi-Fi is available. 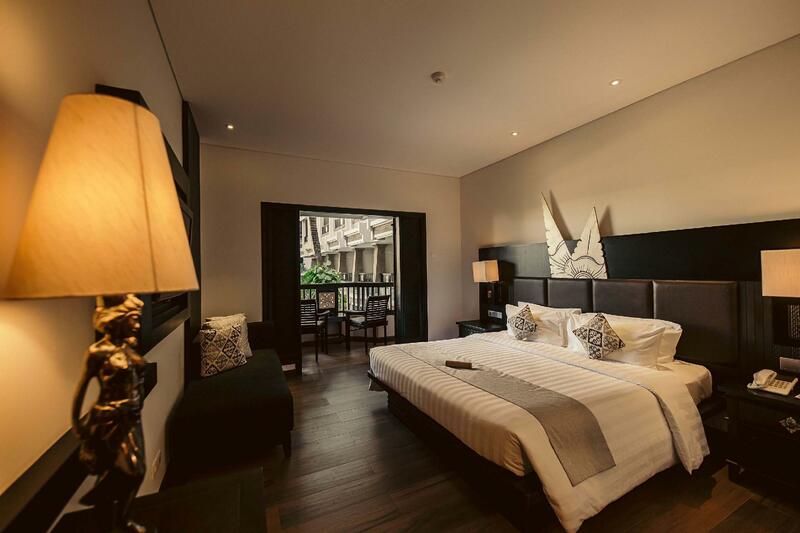 Rooms at Bali Vira are equipped with cable TV, a minibar and a safety deposit box. All rooms come with a private balcony overlooking the swimming pool. Guests can have a massage at the spa or purchase Balinese crafts at the gift shop. Travel arrangements can be made at the tour desk. Vira Bali also has a reading area and a business centre. Award-winning chefs prepare steak and ribs at The Grill Corner pool-side restaurant. This 24-hour restaurant also serves a buffet breakfast, local, Asian and Western specialities in an outdoor setting. The Vira Bali Hotel is less than 200 metres away from Waterbom Park and Discovery Shopping Mall. "Quick trip from the airport and you have a nice, clean hotel..."
The Vira Bali Hotel offers a shuttle service from the airport for a charge. Please provide the hotel with your flight details at least 24 hours in advance. For the guest’s return flight, the shuttle bus to the airport is free. All guests are welcome with the hotel's signature homemade delicacies upon check-in. only 5 min drive from the airport. Located right across a mall and beside a Catholic Church. Discovery Mall is also 10 min walk from the hotel. There are lots of restaurants and souvenir shops in the vicinity. Aside from the welcome drink and snack, the hotel gives a 15-min free welcome neck and shoulder massage. Aside from the complimentary breakfast, they also give complimentary High Tea. The rooms are spacious, and clean. In the bathroom, they also installed a marble seat for the convenience of bathing children and for the convenience of PWD. The pool is clean and inviting. I would always choose this hotel if i go back to Bali. We love Vira Bali and always stay here when we arrive and when we leave Bali. The staff are so reliable and honest. They even remember your name from last visit. Dewi who has been there for years is such a hands on wonderful lady and manages her areas with precision. Its good to see their faces each time we come back. They will give you complimentary airport pick up and drop off as well. The rooms have been recently renovated which is lovely. And we love their big Swimming pool. Its opposite the Lippo Centre. Staff and food are excellent, 24 hr room service. Pool has broken tiles around but okay for a dip. Pool guy very pedantic and right onto you as soon as you look like leaving for his towel which means you have to drip all the way back to your room. Location excellent opposite Lippo Mall for groceries, cinema and great restaurants. close to Radiance clinic for appointments. free airport shuttle is great. 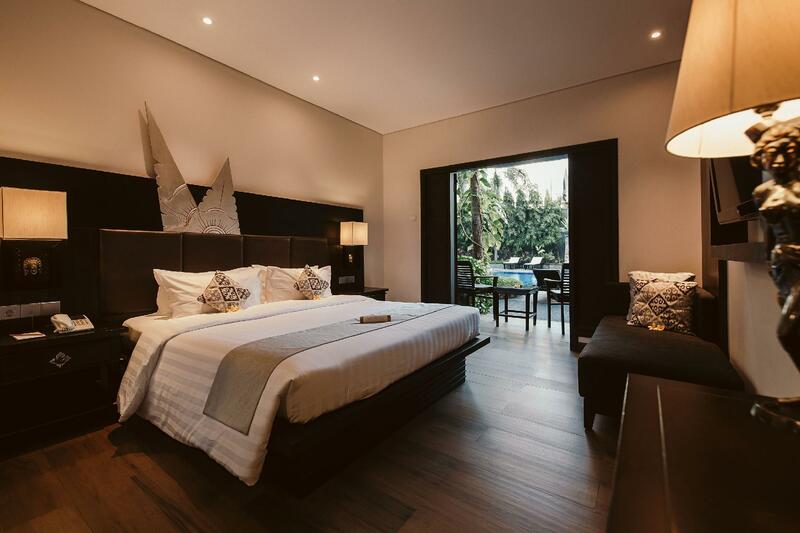 Pro: good location near the DPS airport, near Kuta beach, across from Lippo Mall (free music entertainment at night where you only need to buy a drink or eat, then you can enjoy the music), clean swimming pool but not fancy. Free airport pick up and drop off, but you need to arrange with the hotel management. I booked through Agoda, when I landed look for the hotel sign, I didn’t see the bellboy, so I have to order a Grab to the hotel that cost me only 31k Rupiahs, but I tipped the driver so I gave him 50k Rupiahs since he was nice to me. Please have the bellboy show the sign in front of the line so others can see the hotel name for your future reference. Con: Sewage system was very smelly when we first checked in, we have to request for a new room change. It smells better with the new room. However, the next day after shower and everything using the bathroom, you can smell very bad came from their bad sewage system. Buffet was ok but we ate the same food for 3 days straight. 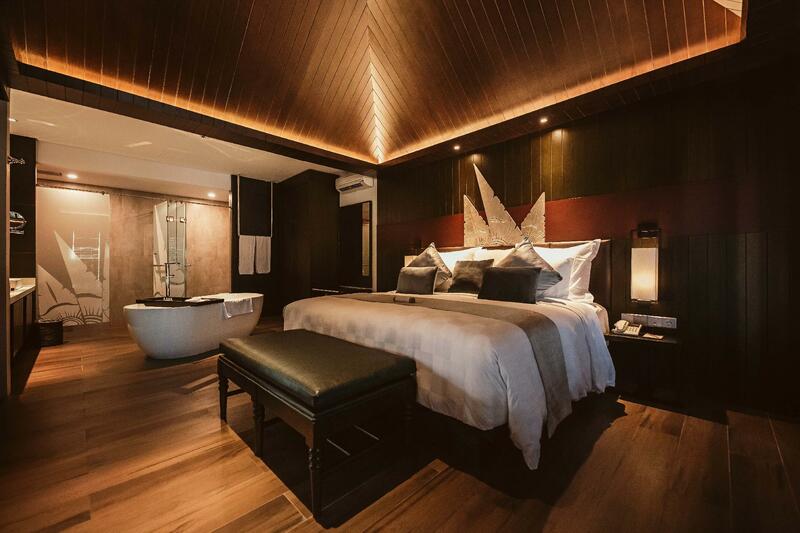 I often to stayed in The Vira Bali. This hotel have a very good environment, nice decoration with authentic Bali touched on every corner of the hotel. Friendly staffs. The only thing is, the location is not exactly on beach front but it's just a walking distance to the beach. A lot of restaurants you can find along the street. I like their service very much! Their staff are friendly with nice smile:) besides, they provide delicious buffet breakfast everyday, I love their mee goreng very much! you can order any styles of eggs and pancakes. It’s very good that they provide airport shuttle bus for guest! I choose to stay in this hotel because we need to catch the early flight on the next day. And my booking includes FREE shuttle transport to the airport which only costs few minutes to go to the airport. Though we arrived quite late, welcome drinks and little cake are provided and staff are responsive to our request. For the room, it's comfy and clean, hairdryer, slippers and toiletries are provided. What I like the most is the mirrors provided in the room, including a wall mirror, where all the girls can do the make-up at the same. But the lighting in the room can be improved as it's little bit dark in the room at night. For the breakfast, it's in buffet style. Guests can order freshly made omlette or scambled egg. Hot dishes are also provided. The hotel is just opposite to the Lippo mall. Shops and convenient stores are just few steps away from the hotel which we can do the shopping easily. The hotel is about 10-15 minutes walk from the main bar area which was nice to be away from all the crazy nightlife but still in walking distance. There were restaurants close to the hotel and the hotel food was also nice. The pool area was nice to return to after time in the town. We were upgraded to a bigger room and the compliment "Hello Massage" and Afternoon Tea has really confirmed this going to be our hotel again for Holiday in Bali. Not to mention the free shuttle to the Airport. The location is very convenient as its walking distance to the beach and malls surrounding the location, as the only way to feel and see Kuta is by walking. Breakfast spread is good as well for local and western. Overall, we enjoyed our stay in this beautiful and clean Boutique hotel. Reception was good and friendly. Room clean and adequately equipped, though the piece of bath soap is a let down. Got mosquitoes in the room the first night but the housekeeping did spray and got rid of them. Coffee house foods were good but unfortunately mosquito problem day and night. May come back to stay again. Located conveniently in Kuta, right opposite the Lippo Mall, the hotel is a mere 10 minutes drive to and from the airport. The staffs were friendly and greeted us with a smile every time they see us. The hotel facilities are clean and room cleaning everyday was done promptly with replacements of mineral water and disposable toiletries. Breakfasts that are included in the room prices are of a buffet style with a good variety of choices. Free airport transfers were also an added bonus. Highly recommended. Good, because for the travellers like me, just passing by Bali, on the way for nearby destinys, is the perfect location to be, close to the airport, and for last minute shoppings, and enjoy the beach or the swimming pool, and a fair hotel. Close to the airport. Attentive staff. Central. My second stay at this hotel. Ideally located close to the airport - with free transfer - for those transiting in Bali. Attentive and responsive staff. Clean and comfortable rooms and a pleasant swimming pool. Quick trip from the airport and you have a nice, clean hotel with friendly staff close to shopping and the beach.